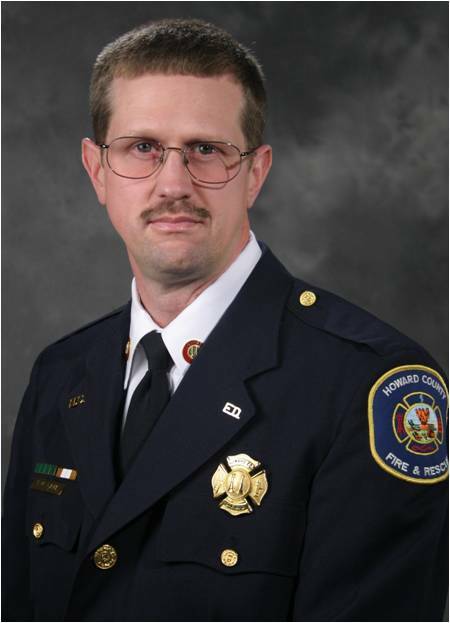 Please help us congratulate former FFD member and current honorary member, Tim Diehl on his retirement (31 DEC 2013) from the Howard County Department of Fire and Rescue Services (HCDFRS) and on his newest endeavor with the City of Rockville. Tim’s title with the City of Rockville will be the Supervisor of Building Code and Permits, which will also carry the title of Fire Marshal for the city. Tim served with the Frostburg Fire Department (FFD) from 1985 to 1999 where he rose through the ranks to Assistant Fire Chief. He headed for the Howard Fire Academy in 1990, where he graduated at the top of Recruit Class 7. He was “pinned” at the graduation ceremony by FFD Senior Officers, Gary Tummino and Ron Dugan. Tim worked the next ten years at the following stations: Station 10 (Rivers Park), Station 8 (Bethany Lane), Station 5 (Clarksville) and Station 7 (Columbia). He also obtained a Bachelor of Science Degree in Fire Science with secondary concentration in Management in May 1999 from the University of MD, University College. In April of 2000, Tim was promoted to Lieutenant and assigned to the Bureau of Life Safety (Fire Prevention). He obtained Fire Inspector I and II certification and attended the National Fire Academy Fire Investigation program. Tim was the Co-chairman of the Fire Investigation Committee, which was tasked with creating the Fire Investigation Unit for Howard County. 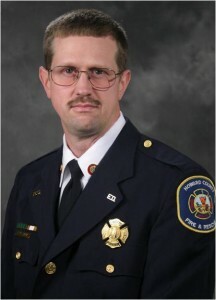 In June 2002, he was promoted to Captain, in charge of the Fire Investigation Unit. In 2003, Tim became a Certified Explosives and Fire Investigator thru the National Association of Fire Investigators (NAFI). In April 2005 he transferred from Prevention to field operations as the Station Captain at Station 11 (Scaggsville), where he remained until April 2006 when he was transferred to the Float Captain for B Shift. In November of 2007, Tim was promoted to Battalion Chief and assigned to the Bureau of Life Safety again; this time in charge of the Inspections and Code Enforcement Division. He became a certified Fire Inspector III and Plans Examiner and currently holds memberships in the National Fire Protection Association, International Code Council, International Association of Fire Chiefs, International Association of Arson Investigators, and the International Association of Fire Marshals. We are very proud of Chief Diehl. Keep up the great work Tim!